We will be opening the St Michael's Folk Evening again this year. 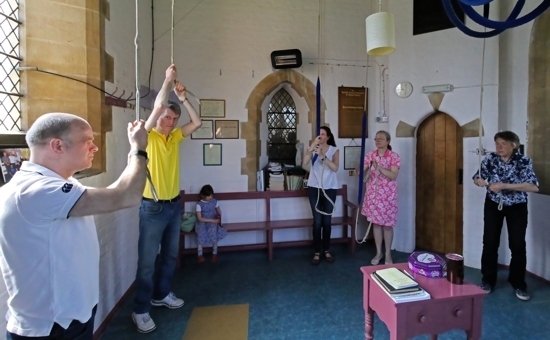 English change ringing is unique because the bell is mounted on a wheel and turns full circle, controlled by the ringer pulling on a rope. The rope turns the wheel first one way, then the other. In mainland Europe and elsewhere, bells are hung differently. They may swing slightly, with a central clapper making the sound by hitting the bell, or a hammer may hit the outer edge of the bell. It is not possible to control the ringing of bells hung like this in the same way as with full circle ringing. Ringing music is underpinned by maths but you don't need to know that in order to perform, any more than someone driving a car needs to know how the engine works: you simply need to know when to make your bell sound in relation to all the others. Ringers do not read from music as they ring, they learn the pattern off by heart. Hundreds of different permutations, known as methods, can be rung. Some are fairly simple but others can be amazingly complex - this is part of the challenge. 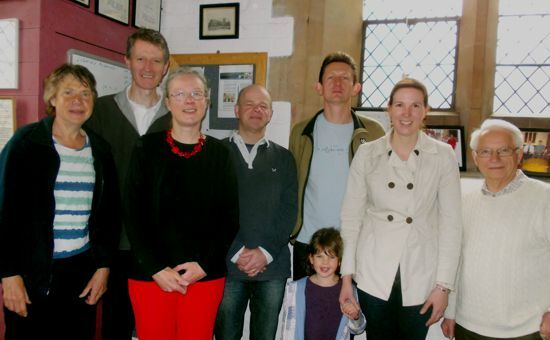 In recent years, the number of ringers overall has declined and the St Michael's band is looking for new members, whether experienced ringers or learners. But even if you are not interested in learning to ring, do come along and listen to us as we open the St Michael's Folk Evening.